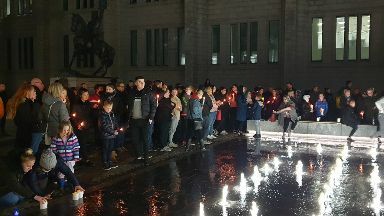 On Saturday, candles lit up Aberdeen's Broad Street in remembrance of the teenager. A candlelit vigil has been held in memory of Liam Smith. 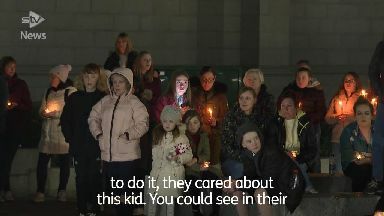 Crowds gathered in darkness around a fountain in Aberdeen's Broad Street on Saturday night to pay their respects to the teenager, who was confirmed as being dead last week. Speeches were given to the hundreds who turned up, which spoke of caring for each other and living life to the fullest. Steve Beedy, the founder of Unspoken Wounds, helped to organise the vigil. 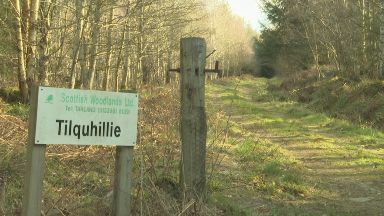 He told STV News: "We've lost one of our precious sons. "Liam Smith has captured the heart of everyone. "And it was important, people wanted to do it, they cared about this kid. "You could see in their hearts and in their eyes how deeply affected they have been by this. They really wanted to come out here and pay their respects and say their goodbyes."